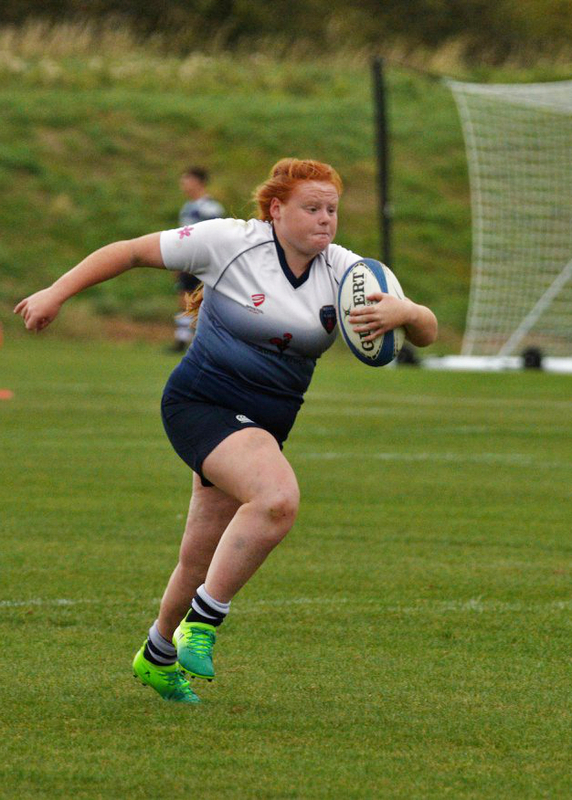 Somerset county rugby and Weston Hornets player Katie Reynolds made her debut for South Gloucestershire and Stroud College (SGS) in the rugby match against Exeter College. The match was played in Bristol at the Wise Campus. The 16-year-old former Worle School pupil from Weston-super-Mare is now studying for a Level 3 Extended Certificate/Diploma Sport at SGS in Filton. The college is a feeder for the Academy to Bristol Bears Ladies Rugby. A strong SGS side were always in control of the match putting Exeter under a great deal of pressure. Katie playing at No 8 put in a good performance for her first match of the season. Some handling errors by SGS allowed Exeter to score two tries against the run of play. The away side stuck to the task in hand to make an entertaining match for the spectators. The final score was 53 points to 12 in favour of the Filton side. SGS are coached by Matt Belbin. The Women’s Rugby Academy has grown exponentially since it was formed in August 2013. Through high-level coaching, academy girls are helped to better understand the game and video analysis is used with field sessions to improve their tactical and technical performance. There is professional support to help in relation to mental preparation, physical conditioning and nutritional advice in addition to injury avoidance and rehabilitation. Katie is a member of the U18 Centre of Excellence (CoE) programme with the English RFU. The CoE’s are designed to develop players on an individual basis in a training environment. She must use this training environment to continue to work hard and develop herself as a player and individual – ‘Better is always possible’.